Born to Be Wild will transport you to the lush green jungles of Borneo to see orphan orangutans with primatologist Dr. Birute Galdikas. You will also follow elephant specialist Dr. Dame Daphne Sheldrick in the rough savannahs of Kenya as she nurses orphan elephants. The Warner Bros. documentary Born to Be Wild is magnificently captured in IMAX 3D. It tells the stories of two amazing, remarkable women who have dedicated their lives to rehabilitate animals back into the wild. Oscar-winning actor Morgan Freeman lends his distinctive and authoritative voice to the narration. The film captures the orangutans’ sense of adventure and humor. Scenes of mischievous orangutans trying to swing on a clothes line, or spilling milk all over themselves, or baby orangutans taking a bath had the audience bursting with laughter. Along with the humor, comes heart-gripping emotion, as Dr. Galdikas and her team release the orphans who are old enough to live on their own into the forest. Let’s not forget the elephants! I soon learned from this movie that elephants are fun-loving, family oriented creatures. They love to wrestle and enjoy daily mud baths. One of the fantastic scenes was a crazy soccer game with elephants running around, people hooting, and dust flying up. Elephants are extremely social, so the keepers not only spend their days nurturing the elephants; they also sleep beside them in their stalls. In the movie, Dr. Sheldrick explains that the elephants “choose” their keepers. I could immediately see the intense emotional impact between keeper and animal. Orangutans and elephants are on the verge of extinction. Born to Be Wild shows what we do can to make sure these amazing animals will always be loved, free, and wild. 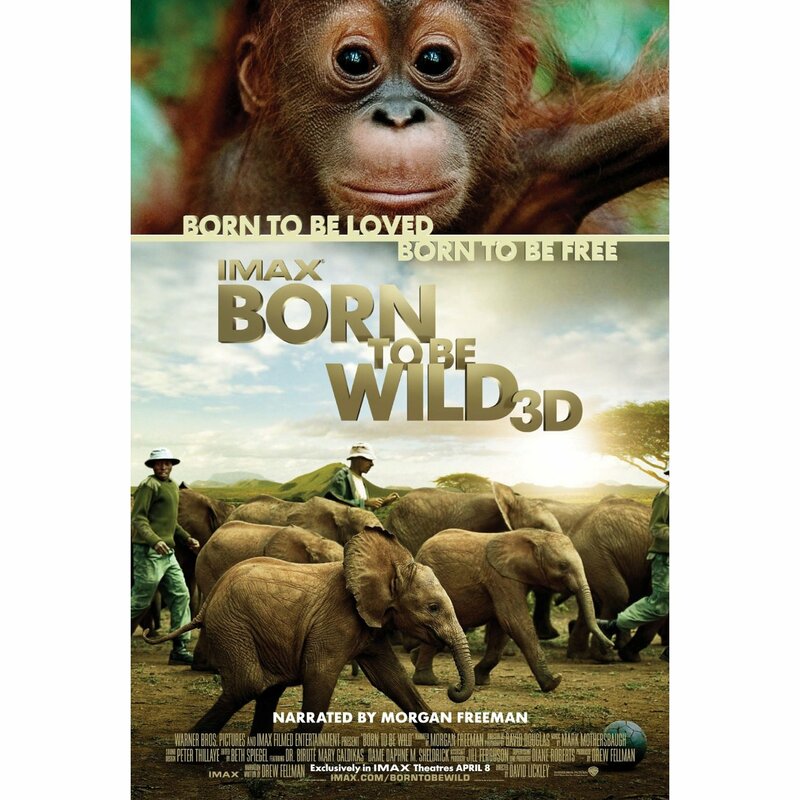 Posted on April 8, 2011, in Movie Reviews and tagged Born to Be Wild, Dr. Birute Galdikas, Dr. Daphne Dame Sheldrick, elephants, movie review, orangutans. Bookmark the permalink. Leave a comment.